The British blues rock boom of the mid-late 1960s certainly produced some names - Eric Clapton & The Yardbirds, Eric Burdon & The Animals, Van Morrison & Them, The Rolling Stones, Peter Green & Fleetwood Mac, The early era Kinks, Steve Winwood, Rod Stewart, Zoot Money, John Mayall's Blues Breakers. One that is not always mentioned, but for some of the cognoscenti is maybe the best of them all was Anthony "Duster" Bennett, who unfortunately died in a car accident in 1976, aged only 26. He began as a blues rock "one man band", playing guitar, a bass drum via a pedal foot and a blues harmonica strapped round his neck. The sound he produced was full and pounding and passes as a full band if you didn't know. He was joined on some recordings by bluesmen friends Peter Green and Top Topham. Green joins him on the excellent "Trying To Paint It In The Sky". This is blues rock of the highest quality. The sound quality on these recordings, especially considering their age, and the fact that some were recorded in Bennett's own home studio, is pretty good. He differed from a lot of the artists recording blues material in that most of his songs were his own compositions as opposed to covers of blues standards. 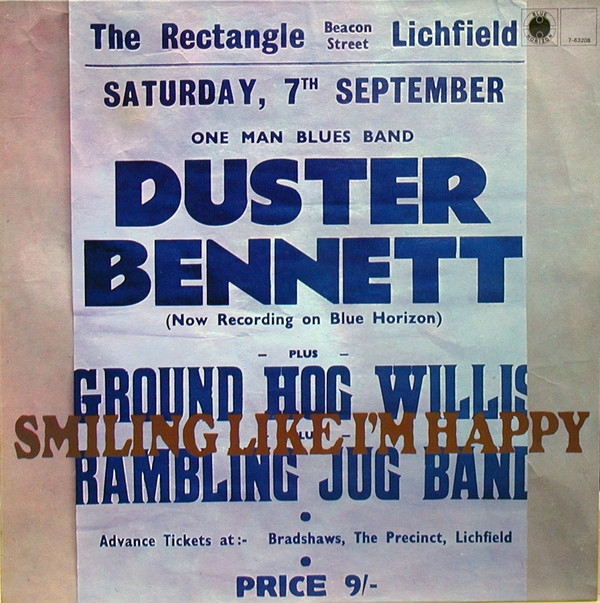 Early singles like "Things Are Changing" and "Worried Mind" show a wry, tongue in cheek humour. His covers are good too, and are not always the obvious ones others were doing (like "Hoochie Coochie Man" or "I'm A Man"). Elmore James' "It's A Man Down There" and Juke Boy Bonner's "Life Is A Dirty Deal" are particularly impressive. As indeed are Ray Charles and Jimmy Holiday's " I Choose To Sing The Blues" (also covered in the seventies by Southside Johnny & The Asbury Jukes; Willie Dixon's "Just Like I Treat You" and Jimmy McCracklin's "Shame Shame Shame". The latter has a huge, deep blues thump to it. Bennett is joined on keyboards by "Ham Richmond" who is none other than Bennett himself, I believe. Duster could also slam out a storming, energetic instrumental like "Country Jam". 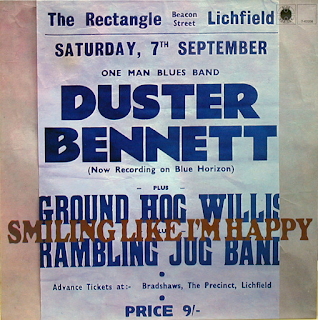 The languid "Times Like These" has Bennett backed by his girlfriend Stella Sutton on vocals. The harmonica-drenched "My Lucky Day" is a delight. The rocking r'n'b of "Got A Tongue in Your Head!" is the sort of thing that not only influenced other bluesers at the time, but subsequent artists like Dr. Feelgood and The Strypes to name but two. 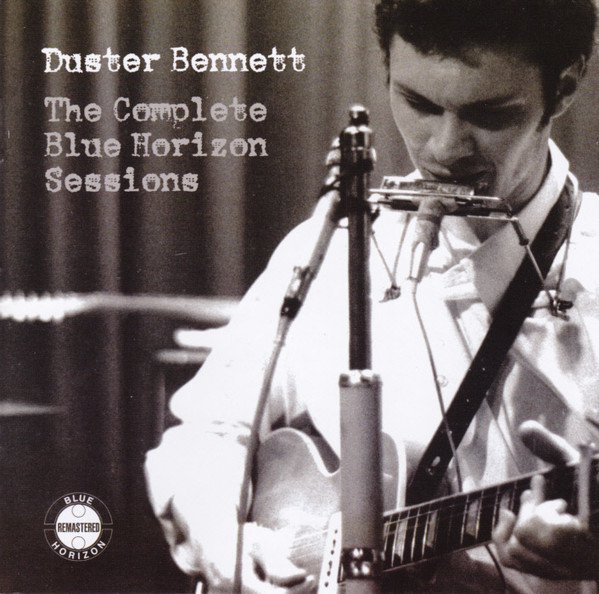 Just check out the blues harp on "Jumping At Shadows". Something pure about the blues sound on this. It is perfection - the percussion, the guitar, the vocal as well as that afore-mentioned harp. There is also a frantic punkiness to tracks like "40 Minutes From Town" as well as echoes of Bob Dylan's early blues material. "My Love Is Your Love" is a solid blues with what sounds like a full drum kit on it. "Shady Little Baby", if it is played just by Bennett, sounds remarkably full. It is remarkable that he could produce such a rich sound. "Raining In My Heart" (not the Buddy Holly song) has a retrospective rock 'n' roll sound to it. There are also several live cuts that have a raw, spontaneous feel to them and a more than acceptable sound. The band playing with Bennett on these live tracks are most of the early Fleetwood Mac line up. The last batch of studio recordings are fuller in sound, with possibly more guest musicians and a more separated stereo sound. They are the more accomplished and polished tracks although it has to be said that the earlier ones have that unrefined edginess about them. There are forty-four tracks on this excellent value compilation. I can't detail each one, but hopefully I have managed to give enough of an idea of the blues quality to be found here. Bennett was a true talent and left this world far too early. 10. Got A Tongue In Your Head!